The MCP1415/16 devices are small footprint Low-Side MOSFET drivers capable of supplying 1.5A peak output current in a SOT23 5L package. 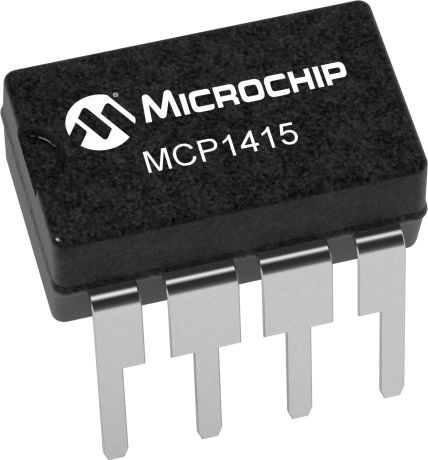 The MCP1415 is an inverting lowside driver meaning that when the input signal is high, the output is low. The MCP1416 is a non-inverting lowside driver meaning that when the input signal is high, the output signal is also high. Although the name of the device is MOSFET driver, these devices have other applications besides driving the gate of a MOSFET. These devices are also used to direct drive a small DC motor, act as buffers for high speed data lines, and level translators to interface low voltage to high voltage.